@cvp, Speak button seems to do nothing for me. 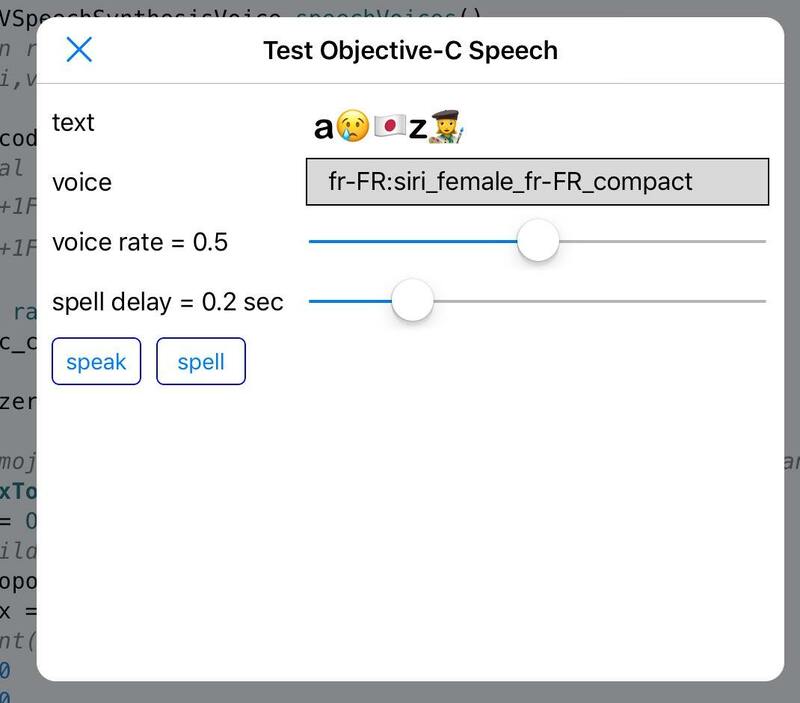 Also, it is funny but maybe not so useful that while the voice changes, it is still using device language for the emoji names. Maybe the language voukd also be set according to the voice prefix? Now, the speak should be working. Language is changed during speaking. I wrote a very wonderful code. I want to try it after I finish work.